The dresses have a silk tucked front bodice. 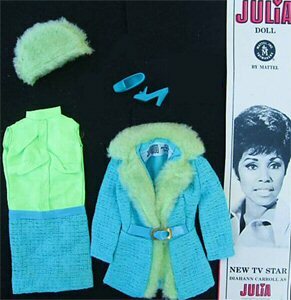 The dress and coat should have an attached vinyl belt. On the blue version it is turquoise blue, on thered and white it is red.